Luxury Apartments Los Angeles: Make The Move To L.A.
422SOUTHLAKE, luxury apartments, moving to L.A., reasons to move to L.A.
Who doesn’t enjoy consistently sunny weather, easy access to nearby mountains (and the ocean! ), and a relaxed overall vibe? These are only some of the many things that you can enjoy after moving to the City of Angels. Whether you’re not a fan of the rushed, fast-paced mentality of the east coast or you just don’t like braving out the cold weather, we’re confident that you’ll find the perfect fit by moving out west (or south, north or east — all that matters is that you get here to Los Angeles!). 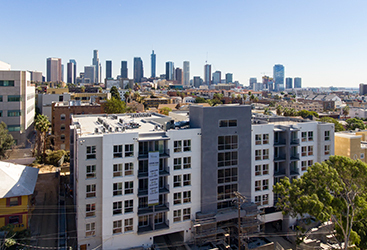 Here at 422SOUTHLAKE, we’re proud to offer the Echo Park and Westlake neighborhoods of Los Angeles with the very best luxury apartment homes in the area. While you’ll be spending a lot of time exploring the “best coast” and checking out the urban jungle that is L.A., it also pays to come home to somewhere that you truly enjoy living. 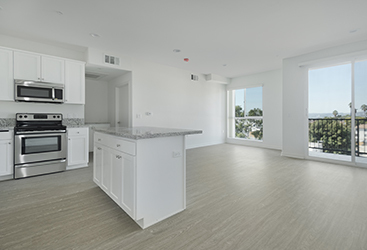 Our luxury apartment complex in Los Angeles features modern amenities like stainless steel appliances and granite countertops, all at a competitive price that you can afford. So, if you’ve received a job offer to move out to Southern California, your significant other is yearning to make the move, or you just feel compelled to live in the booming and eclectic Westlake and Echo Park neighborhoods, 422SOUTHLAKE is your ticket to success. Get started with our affordable luxury apartment complex by contacting us here 422 S Lake St. We’re excited to help you move into the apartment of your dreams! If you’re on the fence about the move, let these reasons below behoove you! We’re pretty proud of our home, and we’re not shy to boast about it, either. Now, plenty of other urban areas in the United States are home to noteworthy architecture, but Los Angeles is hardly an exception! Featuring some of the finest architectural landmarks in the country, even our movie theaters and concert venues look like something out of a magazine…probably because they are featured in a magazine. Los Angeles has the perfect contrast between new, hyper-modern construction and rich, historic buildings — especially when it comes to DTLA (that’s downtown Los Angeles for those who are uninitiated). Local favorites like the Eastern Columbia Building and the famous Ace Hotel perfectly illustrate L.A.’s architectural prowess. Going through Hancock Park, you’ll soak in architectural styles from the likes of English Tudor to Mediterranean, Spanish, Victorian, Colonial, Art Deco, Craftsmen, Mid-Century Modern, and more. You might as well come out here to be an architect. Massive cities are inherently diverse, but Los Angeles is truly a city full of transplants. Though ranked as the 12th most diverse city in the United States by WalletHub, L.A. also clocked in as the 4th most diverse among cities with a population greater than one million people. New York has a bit more history and therefore an unfair advantage when it comes to their size and the corresponding diversity of its residents, so you have to give Los Angeles a handicap on this one. The art, the music, the food, the architecture and the overall culture down here prove that L.A. is diverse as it is consistently sunny (we make that point very often). If this isn’t one of your favorite parts about relocating to our home city, well, you probably don’t have any taste buds. Naturally, this is a long-standing point of contention among urban dwellers around The States, but long-time Los Angeles residents will claim that the food scene down here is better than New York’s. Are we going to definitively claim that? Our business is in affordable luxury apartment housing in Los Angeles, not culinary matters — we’ll let you make the call on just how incredible the food really is. Complete with its fair share of high-end, fine-dining restaurants, L.A. is also home to a near-overwhelming amount of food trucks, street taco vendors and other cheap establishments that offer the ultimate bang for your buck, especially when it comes to authentic flavors. From genuine Dim Sum in the San Gabriel Valley to gourmet food trucks lining Abbot Kinney Blvd., there’s something perfect to meet even the most specific of tastes. If you prefer to cook in your apartment here at 422SOUTHLAKE, there are many farmer’s markets offering fresh, organic produce seven days a week! Wondering if your favorite artist is going to come through town? Of course they will — this is Los Angeles, baby! With ample music festivals in the area and tons of rustic venues to catch your favorite acts coming through, your never miss the chance to see someone you love or even discover a new band. As far as art goes, you couldn’t travel more than half a city block without seeing an incredible mural or street art. Many standard urban features like power boxes and street lamps are often painted on and converted into something more eclectic and aesthetically-pleasing. With tons of art museums spanning many different styles featuring a number of world-famous works, Los Angeles is a wonderful place to get your daily, weekly or monthly fill of art and culture. 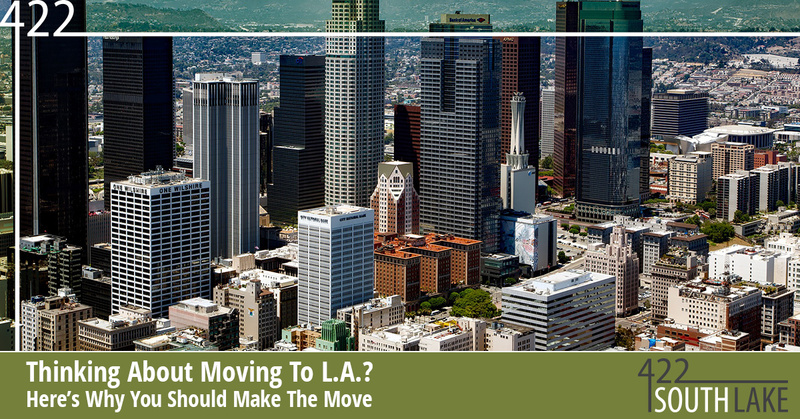 Enjoying everything that L.A. has to offer all begins with finding the perfect living situation. 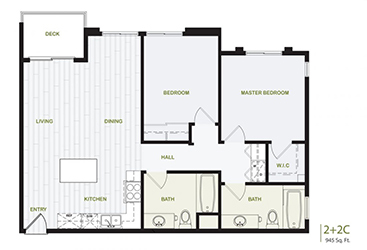 With our luxury apartments for rent located at 422 South Lake St., there’s an apartment here just for you. Contact 422SOUTHLAKE now to get started!